All eyes were on the city of Atlanta this weekend as it hosted Super Bowl LIII. A uniquely American sports tradition, festivities lasted all week and included concerts leading up to kick-off on Sunday. The city recruited prominent and popular local artists for many of the shows. One was Grammy-nominated Atlanta rapper 21 Savage, who performed on Thursday. 21 Savage has been an immensely popular rapper in recent years. His album I Am > I Was debuted at number one on the Billboard 200. By Friday, Immigration and Customs Enforcement had arrested the rapper in a sting operation. Unbeknownst to his fans, 21 Savage was actually not an Atlanta native. Sha Yaa Bin Abraham-Joseph (the rapper's legal name) is a citizen of the United Kingdom living illegally in the United States as a visa overstayer. 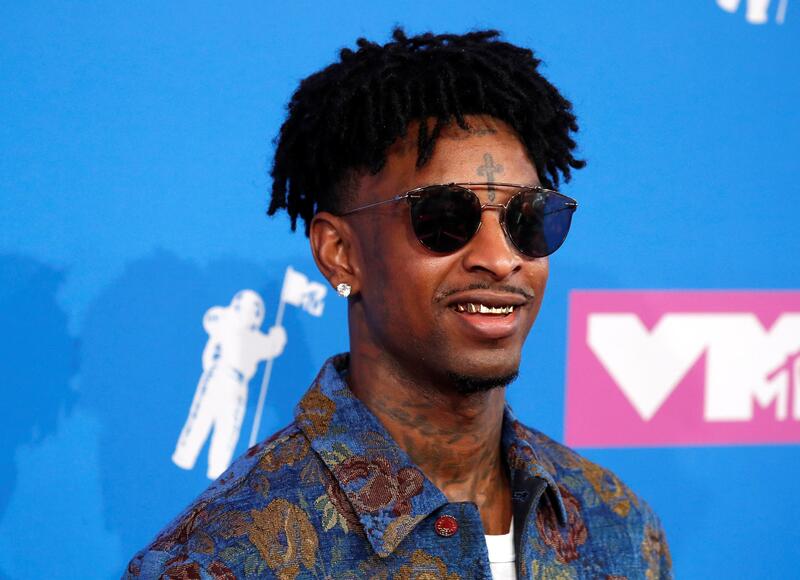 Despite the humorous memes that flooded social media after his arrest, 21 Savage represents how easy it is for someone to live in the United States with an expired visa. He reportedly entered the country more than 13 years ago. Since then, he has accumulated a net worth of over $10 million through album releases, touring, and endorsements. He's one of the most popular rappers in the country and signed to Epic Records, a subsidiary of Sony. It is remarkable that it took until now for his status to be revealed. In 2014, he was arrested on felony drug charges. No immigration charges were filed then, and his nationality remained a secret. In 2018, he performed overseas in France, Ireland, Sweden, Finland, and Spain. How was he allowed through customs? Also, why did his record label not recruit a lawyer to formalize or resolve his status? It is not particularly difficult to have a successful music career in the United States as a foreigner. O-1 visas allow aliens "who possess extraordinary ability in the sciences, arts, education, business, or athletics" to reside in the country. The DHS overstay report is an important reminder that visa overstays are occurring on a similar scale to illegal border crossings and represent a similar threat to the integrity of our immigration system. The arrest of 21 Savage shows how easy it is to overstay a visa and mesh into the fabric of American life. The rapper was able to sign a major record deal, tour overseas, and accumulate millions of dollars in the 13 years since he entered the country. Even after a felony arrest, he lived undisturbed in Georgia for years. 21 Savage remains in detention awaiting a hearing with an immigration judge. Whether he is deported or not remains to be seen. But this is an important case study in illegal immigration. Crossing the southern border is profoundly dangerous, difficult, and deadly. Entering legally and then refusing to leave is much easier. As long as the United States ignores the need to reform its entry/exit enforcement mechanism, visa overstays will continue to grow as the greatest source of illegal immigration.